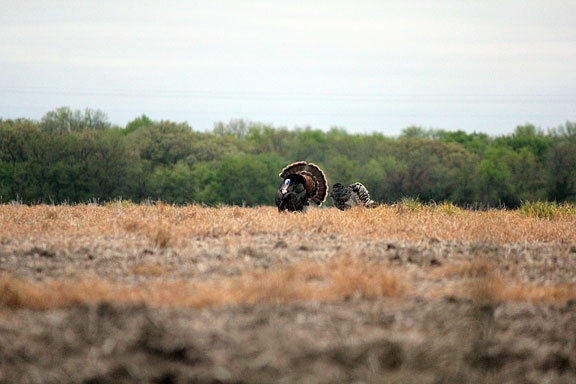 Take of the Spring Turkey Season Habitat and how field color changes being able to read pasture from forage to row crop. A valuable skill beyond that of trees and brush. These aerials have all three to include pastured timber areas. Only sure method of learning is to have an aerial in hand when on walking land. Deal with variables of when any aerial was taken. Then compare current land usage. Aerials are good contributory information – never a decision making tool for leasing or hunting. 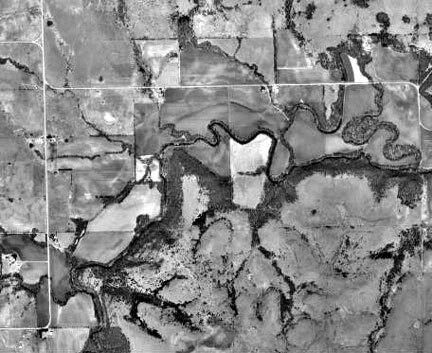 A further out resolution detailing larger surrounding area showing other habitat to the east opens up wide due to flat land efficient agriculture. A fair example of differences between actually scouting ground on foot before lease contract signing or simply leasing over a telephone conversation as many non-residents attempt to do. As good as this land looks, where in the state that it is in and it’s productivity to date all combine to make this an average lease suitable for money we are paying for it, nothing more. 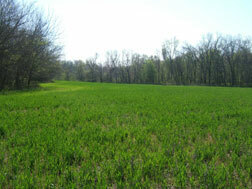 Spring turkey season land picture series as an attempt to take away some mystery of what terrain hunters will find. This aerial shows their core roost, daily feeding and strutting area. Relatively small driven by direct observation from roads. These areas are largely west of a N-S creek. 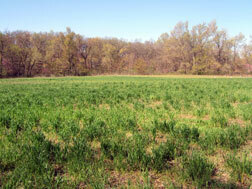 Or, fields not readily seen by daily traffic. As seen during early season. 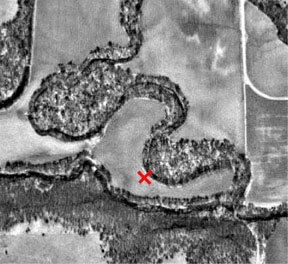 Red ‘X’ marks a spot seen in this ground picture above. 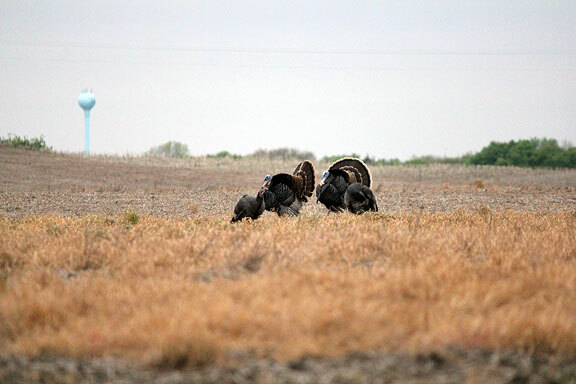 Or, where turkeys along with sign were most prevalent. A small spot of roost, water, spring time feed of green shoots, few bugs. 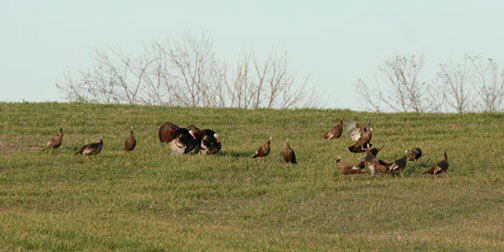 Facing SW from our red X, they roosted on a bluff. Flydown was north. Day long movement largely between two creek bottoms. On this day we went to this lease specifically to scout it for contract renewal, confirming farming practices, to take these picture for this web page. A reliable flock we could count on to cooperate.